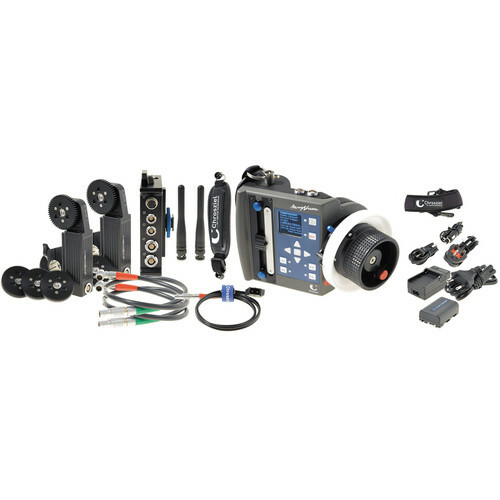 With dual outputs, the Chrozsiel MagNum 200 Dual-Channel Wireless Lens Control Receiver can drive up to two motors that connect via 7-pin LEMO. The receiver is capable of calibrating motors to the lens without the aid of the transmitter. When connected to a camera via the serial output, start/stop can be remotely controlled from the transmitter. The MagNum 200 system can operate on 2.4GHz and 430MHz frequencies for ensuring the greatest possible working distance and reliability. The 2.4GHz antenna is built-in and a BNC 430MHz antenna is included. The the receiver can be used in a wired/studio configuration drive motors with input from ENG demand controls. 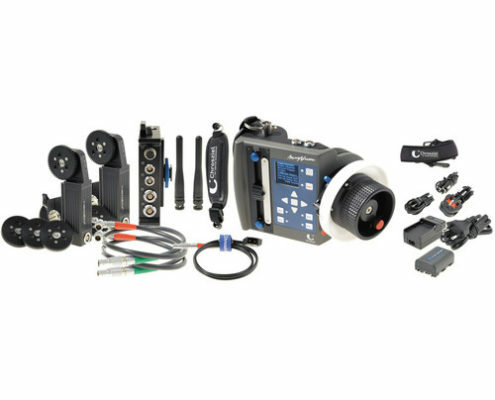 Using an Aladin extension modules, which are mountable to the receiver body, the MagNum system can control up to four motors in total.